Meet the more affordable little brother of the wildly popular Z900RS. 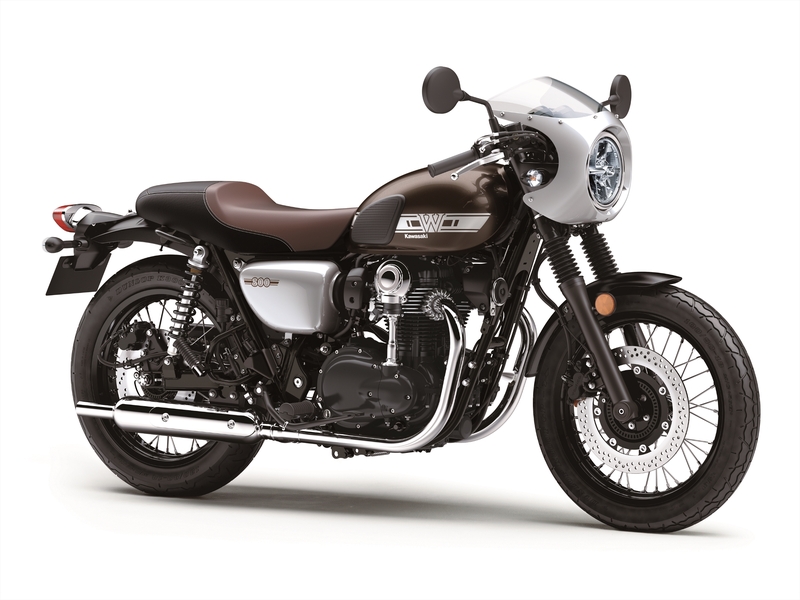 Topline: Kawasaki’s W series of motorcycles inspired by retro British standard bikes is back with a fresh model. This air-cooled, parallel-twin bike serves as a more affordable alternative to the extremely popular and equally retro Z900RS. What’s New: The W800 is all-new for 2019, but the W series goes all the way back to 1966. 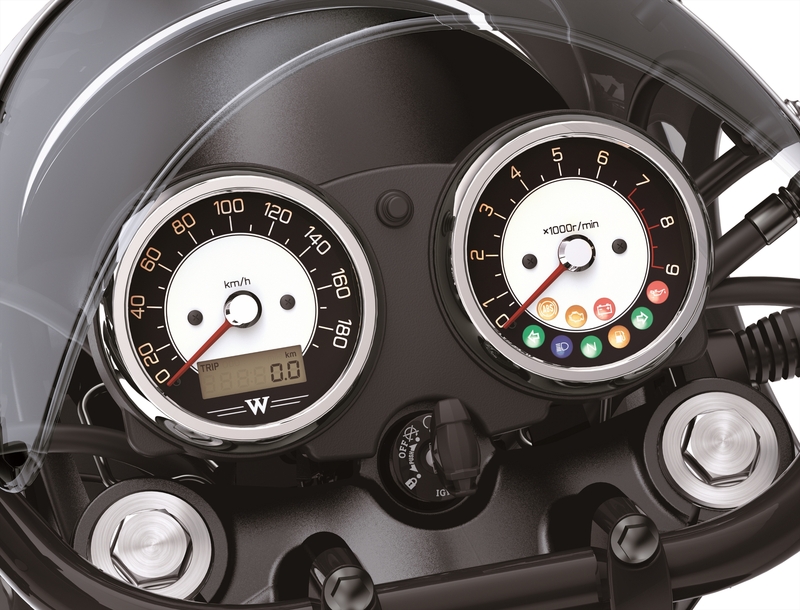 When the first W1 came out, it was positioned to compete with popular parallel-twin bikes from the U.K. like the Triumph Bonneville and the Norton Atlas. Production of W series bikes has been on and off since it was originally discontinued in the mid-70s, and now it’s back on thanks to the retro craze that’s been sweeping the industry. The new W800 Cafe is powered by a 773cc SOHC air-cooled parallel twin with a 360-degree crank linked to a five-speed manual transmission. It has a modern assist and slipper clutch which means it will be a lot easier to shift than its counterpart from a half-century ago. Power and torque ratings haven't been released yet. For suspension, you get a 41mm front fork and dual rear shocks in the back which contributes to the bike’s retro aesthetic. Kawasaki says the suspension is stiff and the frame is rigid, so this middleweight should be able to handle pretty well. Braking comes from a single disc in front and another one in back. We’re a little confused about the ergonomics on this bike because Kawasaki says the riding position is “relaxed,” but also says it has a “sporty, forward lean.” Just by looking at it, it looks like it will have the feel of a genuine, old-school cafe racer without being too aggressive. A few modern touches throughout include an LED headlight, a multifunction LCD screen in the gauge cluster, and standard ABS. We don’t know when exactly it will be in dealers, but it will carry an MSRP of $9,799 with a $370 destination charge that pushes the out-the-door price to five digits. That puts it in the neighborhood of the Triumph Street Cup and arguably the Ducati Scrambler Cafe Racer. What You Need to Know: If the new W800 gets nearly as much love as the Z900RS, Kawasaki will have another retro winner on its hands. However, we wish there was also a non-cafe variant available in the U.S. with a more upright riding position and no front fairing. In fact, that bike exists as the W800 Street, but we’re not getting it here. 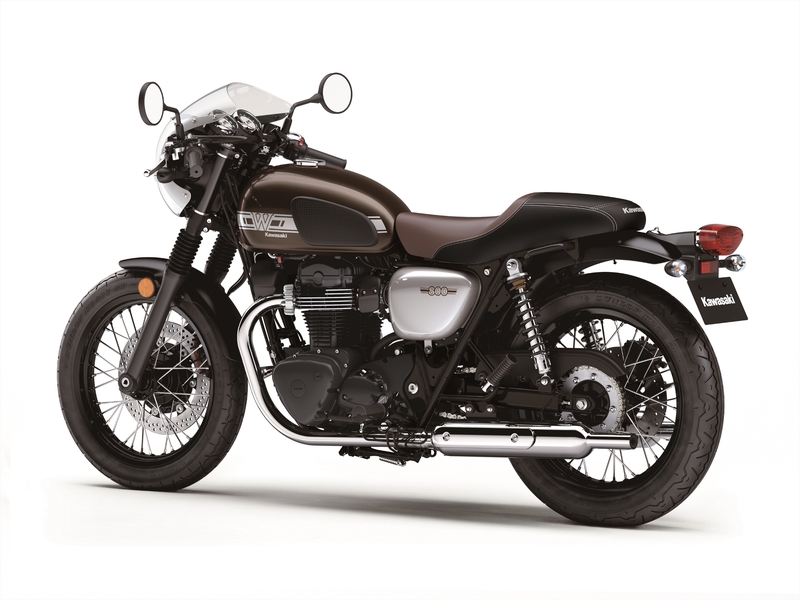 Having one of each flavor available would make the model more competitive with the Royal Enfield twins, smaller-displacement retro bikes that are quite a bit more affordable. We had a little bit of sticker shock when pricing was announced for the Z900RS, but we learned that the price is justified and Kawasaki is certainly having no problem selling those things. We had similar feelings today after seeing the W800 Cafe's five-digit price tag after destination, but if it impresses us as much as its big brother, all will be forgiven. Going retro is working out great for Kawasaki, and we wouldn’t be surprised to see more old-school, non-green bikes like this going forward.